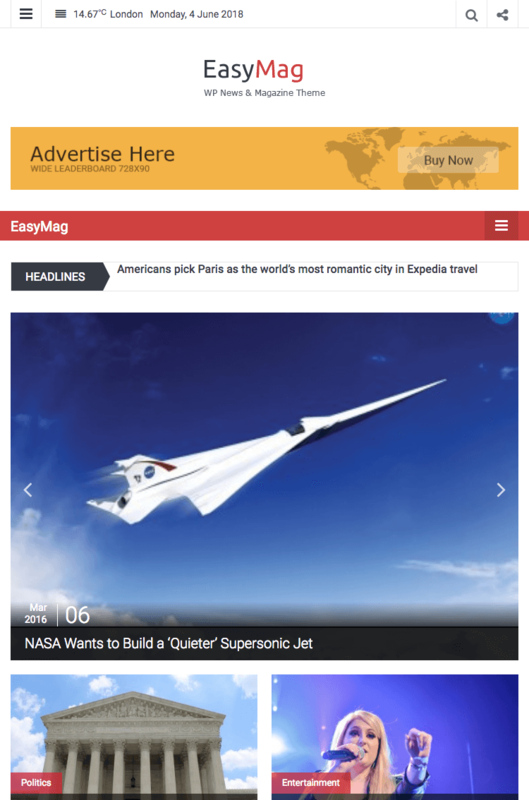 A professional WordPress News and Magazine theme. Boost your user experience by providing a user friendly Ajax powered page navigation. 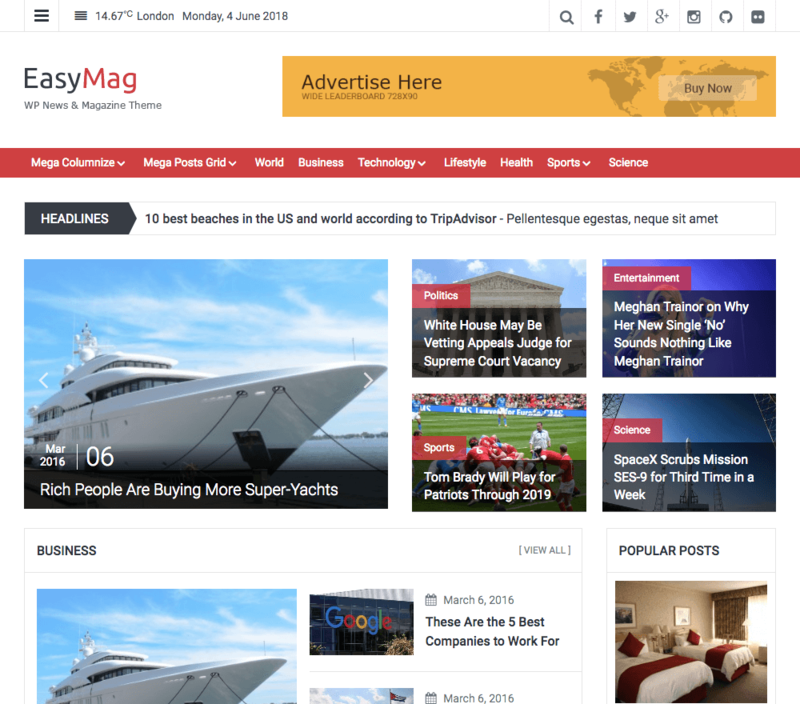 EasyMag is the perfect combination of power and simplicity in a WordPress News & Magazine theme. EasyMag does not require any coding knowledge and gives you the options and flexibility to put together the ultimate news site, but in a simple, straightforward way that doesn’t overwhelm you. EasyMag adjusts its layout based on the device it is being viewed on. This means the theme’s content will be easy to read and easy to navigate whether it is being viewed on a desktop computer, a tablet or a mobile device. With footer editor option you can change the footer copyright information with your custom footer info. Easily change it from theme customise setting. Did you know there is a FREE version of EasyMag Pro?